This is an online supplement for Setting theoretical and empirical foundations for assessing scientific inquiry and discovery in educational programs. Paul Zachos, Thomas L. Hick, William E.J. Doane, Cynthia Sargent. 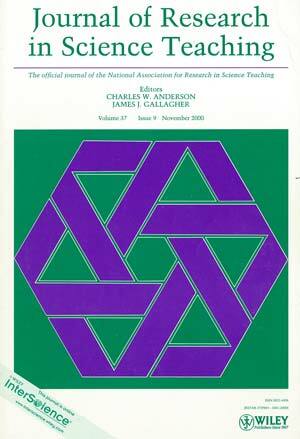 Journal of Research in Science Teaching; Volume: 37, Issue: 9, Date: November 2000, Pages: 938-962. Hard copies of the paper are available; please contact Paul Zachos. The methods, instruments and data provided at this site will allow you to recreate in your imagination or to replicate the research procedures or data analysis that are reported in the article. Because of the difficulty of formatting some of this material in HTML, Adobe Acrobat (PDF) versions of most pages are also provided. A free copy of the Adobe Acrobat Reader can be downloaded and installed directly from the Adobe website, if you do not have a current version already installed on your computer. If you are interested in more current version of the procedures and instruments or wish to collaborate in future studies, please contact Paul Zachos.